For Kevin Brubaker, an aesthetic mod led to a lifetime of luthiery. Coupling his need to tweak his bass with his background in woodworking, he soon started building his own basses. 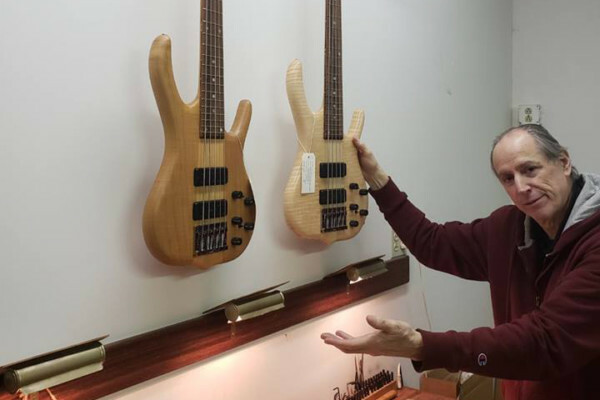 Since his start nearly 30 years ago, Brubaker has created over a thousand custom instruments. 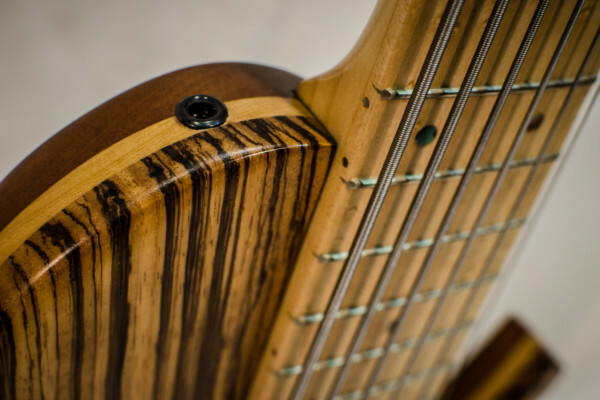 Brubaker Guitars often feature distinctive book-matched tops with exotic woods and extraordinary finishes that often cover the entire bass – fingerboard included. Never one to focus on past performance, Brubaker is always putting his basses to the test. In this installment of Custom Shop, we spoke with Brubaker who tells us of his start, innovations, and what keeps him going. It was about 11th grade (1982) that I started messing around with finishes. I needed a bass that fit the look of the the 80’s hair band I was in at the time, so I repainted my Vantage bass and then that lead to reshaping and I just couldn’t stop. I was always building things and this was a new adventure, so I kept on, learned and read a lot, added tools. Eventually I made a business of it thinking that I could build stuff that I liked (and build better basses and guitars) and make money at it… that’s the condensed version. I had more of a background in construction and home improvement – making basses was a whole lot more fun and I would do it after work and whenever I could. I actually started making and selling basses and guitars back in 1989… very few though but I was determined to change my path and make something of it. What was it about standard production basses that led you to want to build your own? I wanted to build cooler looking instruments at first. The progressions of building better playing and sounding basses came as I became a better player and craftsman while also listening to the opinions of my customers. At first they were a bit radical- smaller and thinner bodies with thin necks, etc., but the more I got into building and then eventually selling, I realized the instruments needed to fit into the market better if I was going to be able to sell stuff. Comfort, balance, and of course the way the instrument feels in your hands are key things. The instrument has to look appealing and cool to the player as well. This is huge! You need to experience the things players experience on gigs night after night to be able to relate and translate that information to making better instruments, playability wise and tonally. I gig on a regular weekly basis and been playing my own stuff from day one. I am hard on my gear – I never take my basses out of my vehicle and they go through some extreme temperatures living here in Baltimore, MD. Some of the basses in the gallery on your website are real monster extended-range instruments. What’s your take on those, and what kind of extra effort does it take to create them? I had one customer who wanted me to build a 10-string at first, then after we finally built it he wanted a 12, 11, 9, 8 7, 6, 5, 4, and 3-string, so I took the order just to do it. For us, we use all pin routers and had to lay everything out on graph paper and made special templates before anything was glued, made or cut- it’s a outdated process I know but it is still how we do it! It’s a very labor intensive process. As for playing those extended range basses, I think you have to be able to use your feet as well when playing them! Do you have a favorite wood combinations? I like northern ash and maple for the body blanks, hard maple necks and fingerboards but in the custom shop there are many options, so we can do just about any wood combinations. How do you do some of your more exotic finishes? I first look at what the wood is saying, it takes an keen eye to see how the wood looks best on the instrument’s shape and then a lot of tape out and airbrush work –just enhancing mother nature’s Art! I first hear and see what the customer wants, of course. I have a standard set of specs and pricing that I let them look over and then have them send me pics and their specs. of what they want. My price sheet is like a menu and the more options you have the more the price goes up. I take 3 equal payments of the total – one to start, another when the instrument is in the shaping stage and the final before it goes out of the shop. I will keep them informed the entire way with pics of their instrument. Every instrument get a number, the year it was made and everything is laid out on a production sheet and approved and signed off by the customer before we start. You use an interesting combination of bolt-on and neck-through designs for your neck joints. 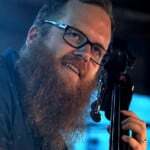 How did you decide to do that, and how does it affect the tone of your instruments? I always wanted something different than the traditional neck joints and thought a combination of the two might be cool. This neck joint has evolved since 1983 and is the only neck joint I use to this day- it actually started out with a 9 bolt rear mounted plate way back in the 80’s. I feel this Bolt–Thru joint gives a different voice to the instruments. The tone is very clear, focused, very throaty and articulate! Active all the way! More tone! I have requests for passive, though. Other than getting paid for something I love to do, I do get a big thrill out of the customer getting excited through the whole process. For me personally, it’s probably the painting part of it all during the actual building. I would say it is at least 1,500 up to this point. I thought after I made my first instruments I was ready to conquer the world – 20 years ago… Man, I have been humbled. We are always pushing to do better…if you ever stop for a moment and think your stuff is good, just look at your competition to put it all in perspective and keep you on your toes. What’s the craziest thing you’ve been asked to incorporate into your basses? Well let’s stick to the G-rated things in this article… The interchangeable preamp module system, which we patented, basically let’s the player have the ability to swap out different preamps with the push of a button! It was conceived 20 years ago and players jaws still hit the floor when they see it! 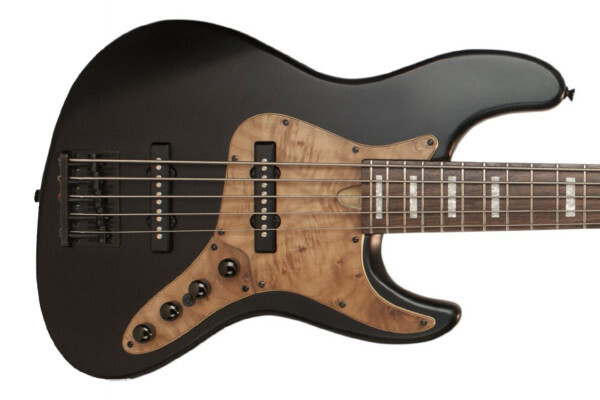 What advice would you give someone thinking of building his or her own bass? I have seen a lot of individuals that have the desire to do this. It is very gratifying and frustrating at times-read many books and articles before proceeding further beyond the hobby aspect of it. I don’t believe there are many books on the subject of starting a guitar business… maybe I should write one!